OMG! What the hell did I just read? Human Remains has to be one of the most disturbing books that I have ever read. It is creepy, dark, twisted, and completely riveting! There are rotting corpses, sad and lonely people, NLP (a kind of hypnosis technique it seems to me), an obscene amount of wanking (seriously, did we have to keep reading about it - yuck!! ), death, murder, necrophilia (sort of), and tons of suspense. This was quite an unsettling read. 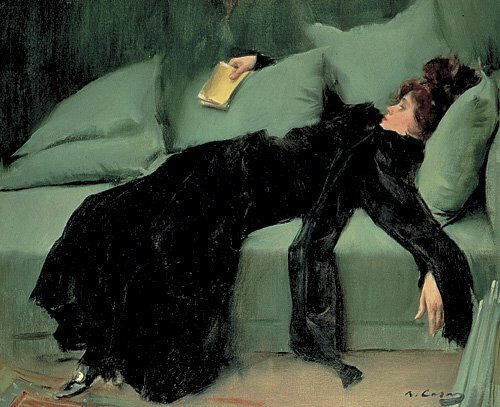 And yet, I could not help but stay up until 3am just so I could finish reading this book. It horrified me and haunted my dreams. Human Remains was definitely an unforgettable read. 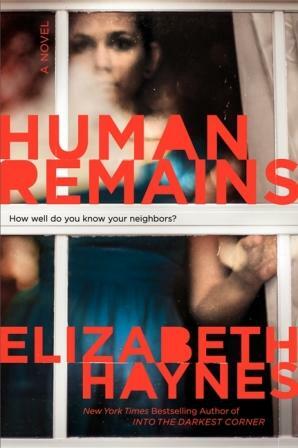 Elizabeth Haynes has once again written another spellbinding book exploring the darker aspects of human nature. This time round she focuses on the dead. Specifically, the dead bodies that are discovered by police after someone calls in about an unpleasant odor, or because they've recently noticed their neighbor hasn't been seen in awhile. Its sad really, to think about these people left all alone to die without anyone knowing what is happening to them. Its only by chance that their corpses get discovered, which makes the whole situation even sadder. Natural causes is usually the cause of death, so no mention is ever really made about these found bodies. Except that in Haynes' gripping story, natural causes is not the reason behind the deaths of the bodies being discovered. And that is all I'm going to say about the book. I don't want to ruin anything for you, so I'm going to leave you to read the novel for yourself. I'm just going to mention that the book is a thrilling read that will have you on the edge of your seat; its filled with fascinating characters that will make you cry and make you cringe; and the whole idea of someone being able to manipulate people so easily and horrifically is terrifying! Its been days and I still can't shake this book from my mind - its that good and scary! Check it out - you won't be disappointed!! *shudder* This one sounds CREEPY for sure. I'm glad to see it was a such a page turner! Oh, no! How can this be more troubling than The Never List on which I couldn't get past page 30? Bellezza, it really is a lot darker in such a different way. Be forewarned!